Academy Financial, Inc. is an independent wealth management firm that uses a holistic planning process to identify value and opportunities for our clients. 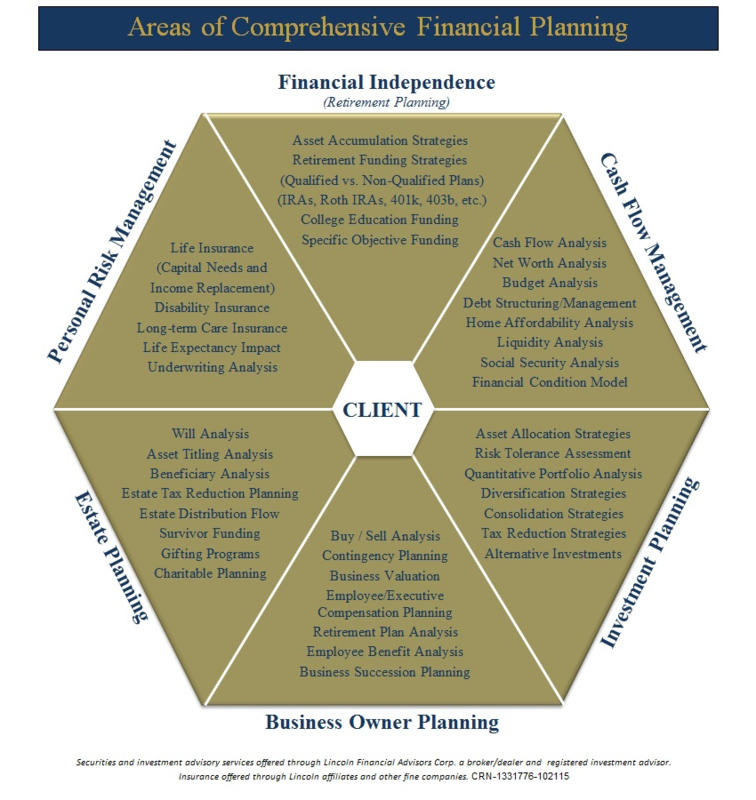 It all starts with the planning and understanding the goals and expectations of the clients. We will work with your current advisors where there is a good fit and help implement advisors where our clients have gaps. Our open architecture and cross disciplinary approach allows us to build a comprehensive plan and produce recommendations from these areas below as well as the non-financial aspects of planning.